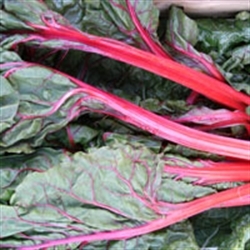 It feels more like spring now, and the overwintered crops are starting to respond - so we have more plentiful quantities of Rainbow & Green Chard in this week. 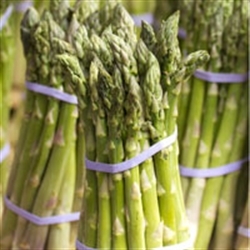 We also have the first small crop of Essex Asparagus in (polytunnel grown) - it will probably last just a couple of weeks, before the main outdoor crop begins late April. 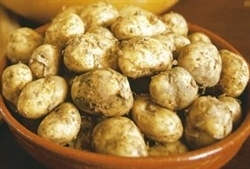 We also have the first little Jersey Royal Potatoes in this week - they are very special - still quite expensive it is the first week, but their price will drop over the next 4 weeks. 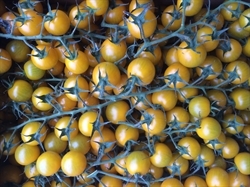 And two new arrivals from Thanet Earth in Kent - we have the first Yellow Cherry VIne tomatoes in, and also the first Green Peppers - a key ingredient if you want to make a nice warming goulash, and clearly requiring a bit more cooking than riper coloured peppers.